Exploring the East Universe: Between colors, music and the scents of distant lands! Orient Festival 2017 in Milan: program and events planned! The Orient Festival 2017 returns to Milan with a marvellous program and a lot of events. One of the events dedicated to the magic of the East, with tastings, folklorisitic performances, exhibitions, workshops photos and much more, will be staged in the city of Milan. Orient Festival 2017 in Milan: program and events. Fiera Milano City | 3-5 and 10-12 February 2017! Immerse yourself in the culture and traditions of a boundless continent. 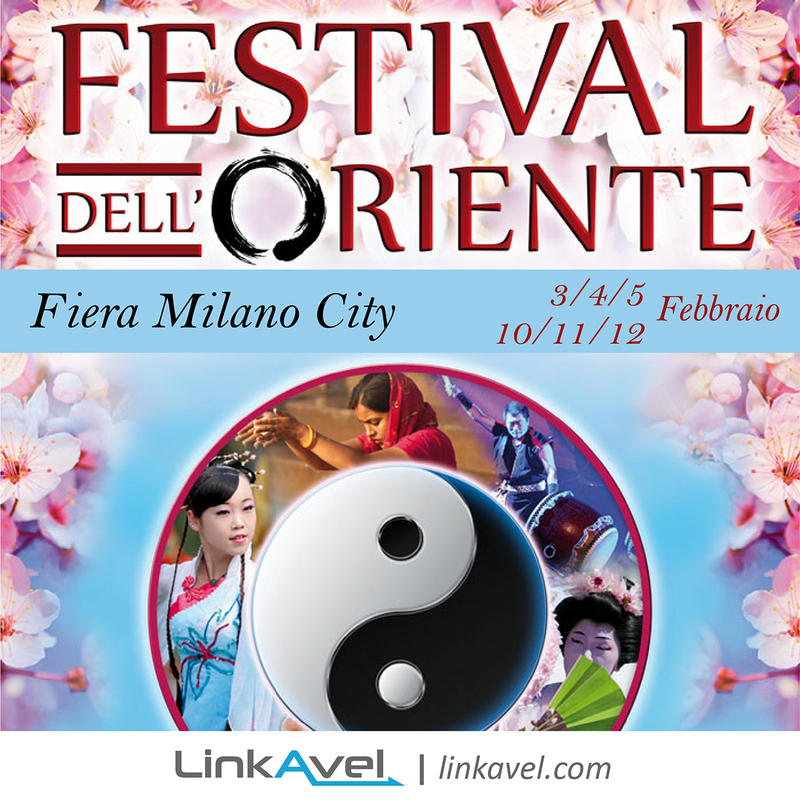 The 3-4-5 and 10-11-12 February 2017, the Orient Festival returns to Milan, at the Fiera Milano City. Photographic exhibitions, bazaars, trade stands, typical gastronomy, traditional ceremonies, folklorisitici shows, natural medicines, concerts, dances and martial arts will take turns in the many themed areas dedicated to different countries in a continuous and compelling series of shows, meetings, seminars and exhibitions . FFestival Orient 2017 in Milan: dates and events planned! One of the most popular pavilions is dedicated to health, of which the eastern countries are great connoisseurs. meetings and stands are expected to know the Bach flower remedies, meditation, massage .. Many disciplines that will help you discover the wonders of the eastern countries like China, Thailand, Japan, Indonesia, Malaysia, Sri Lanka, Burma and many others. Every day, from 10.30 to 23, will be held performances. For now, we point out the concert of Japanese drums Masa Daiko, the repertoire of Khukh Mongol, with music and dances from Mongolia, Uighur dance performances, dance Bhangra coming from India, the Tannura and fascinating techniques of Kuchipudi dance. Among the scheduled events we mention the art of kimono dressing, tea ceremony Gongfu Cha and Japanese tea. Orient Festival 2017 in Milan: program and events. Fiera Milano City | 3-5 and 10-12 February 2017!